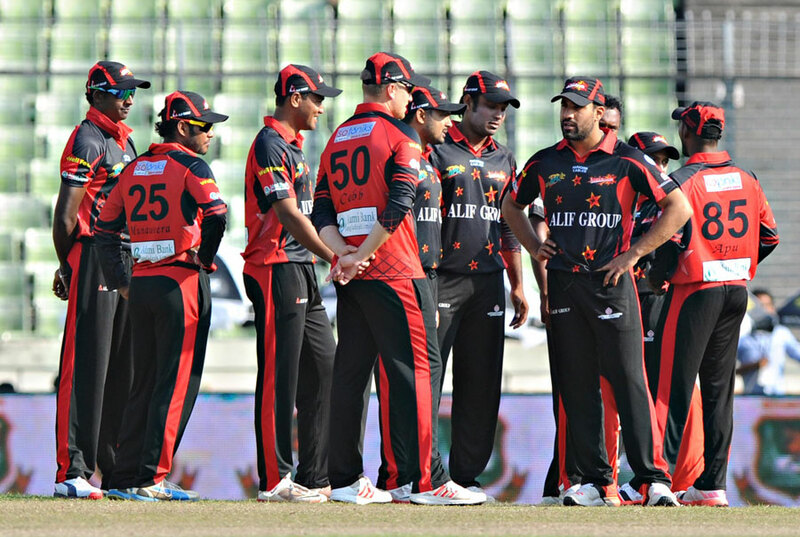 Sylhet Super Stars had some hope of making it to the last four even on the last day of the league phase, but as their 71-run defeat to Comilla Victorians showed, they were not really up to it this season. They won three of their 10 matches, giving them a fifth-place finish, just above Chittagong Vikings. Sylhet could consider themselves unlucky too after losing their first three games to Chittagong, Barisal and Rangpur, by the closest of margins - one run, one run and six runs. But their troubles had already begun before their first match, when due to a bungle up between them and the BCB, they did not have the necessary signatures to field Ravi Bopara and Josh Cobb. When the pair finally got their NOCs, it came through a few minutes after the toss, but they were still sent to play despite not having their names in the team sheet. The match was delayed by an hour and during the discussion out in the open, Tamim Iqbal and one of the Sylhet owners got into a slanging match. Sylhet ultimately lost that game and the next three before they finally won for the first time in Chittagong, against Comilla by 34 runs. Upon returning to Dhaka, they crushed Barisal Bulls in a nine-wicket win before Junaid Siddique, Bopara and Shahid Afridi inspired them to the third win, against Dhaka. Mushfiqur Rahim left the captaincy just before their second win, with coach Sarwar Imran saying that the Bangladesh Test captain could handle the pressure of losing close games, coupled with his wicketkeeping and batting duties. Indeed Mushfiqur's batting suffered, but barring Mohammad Shahid ,none of the other locals really stood out either with their performances. Sylhet would also feel that their foreign recruits, particularly Bopara with the bat, could have given them a lot more. With Sylhet facing certain elimination, Junaid Siddique and Ravi Bopara steered a tricky chase against Dhaka Dynamites in their penultimate match. When they had exited after making fifties, Afridi swept Farhad Reza for consecutive sixes in the final over to seal the win. Their celebration looked more like relief but they needed that win to stay relevant till the last day of the league phase. Their worst moment was when Mushfiqur walked into the Mirpur field with Bopara and Cobb behind him, despite not having their names in the team sheet at the toss about 30 minutes earlier. The situation went into a tail-spin with Chittagong refusing to take the field until the matter was resolved. Ultimately the BCB had to ask Sylhet to play without the English pair, and they went on to lose the game by one run. Bopara did not start well with the bat but he was effective with his military medium-pace, with much variation. In Sylhet's first win in the tournament after four losses, Bopara took four wickets and scored 50 while his second half-century also came in a Sylhet win. He finished with 10 wickets, but must have wanted to score more than the 132 runs he managed. Mushfiqur was the highest scorer in the last BPL, in 2013, when he inspired Sylhet Royals to the last four. This time however, he was weighed down by the captaincy so much that he left the role towards the end citing extreme pressure. Afridi took over as captain, while Mushfiqur ended up with just 157 runs in the 10 matches. The team owners, Alif Group, would have to approach the player selection differently in the BPL's next edition. They missed out on Brad Hodge but the likes of Bopara, Cobb and Ajantha Mendis did not perform according to expectations. Their local players, except Shahid perhaps, left a lot to be desired.